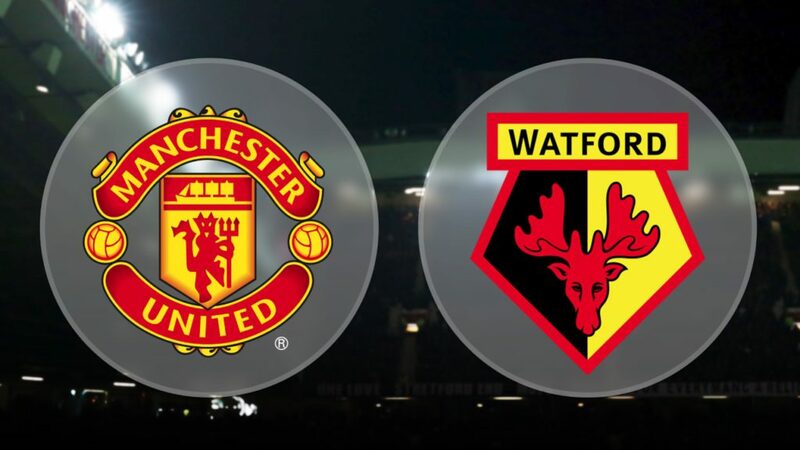 Manchester United visit Watford on Tuesday hoping to increase the pressure on title rivals Manchester City. A victory at Vicarage Road would reduce the gap between the two sides to five points and could give City something to think about ahead of their fixture against Southampton on Wednesday. United are 4/6 favourites to win the game, with Watford available at 9/2 and the draw on offer at 31/10. Eric Bailly faces a race to be fit for the match, while Phil Jones remains on the sidelines. Victor Lindelof played well at the back in United’s 1-0 victory over Brighton on Saturday and should retain his place. Romelu Lukaku has been cleared to face the Hornets after escaping a potential FA ban for an alleged kick at Brighton’s Gaetan Bong. Watford captain Troy Deeney is back in contention after suspension, but defenders Craig Cathcart and Younes Kaboul will miss the game. Midfielder Nathaniel Chalobah and forward Isaac Success are also out injured. United struggled to break Brighton’s resistance over the weekend and they could find things tricky against a Watford side who have exceeded expectations this season. Despite scoring just once in his last six Premier League appearances Lukaku is priced as low as 5/1 to finish the season as the division’s top scorer. Keep an eye on this online gambling offer in 2018 to see how the market develops. Lukaku has scored twice in four previous appearances against Watford and is available at 3/1 to grab the opener on Tuesday. United have won 12 of their last 13 meetings with the Hornets and look a decent bet at 15/8 to win to nil against Marco Silva’s side. Watford did upset the odds last season, winning 3-1 in the corresponding fixture, and odds of 45/1 for a repeat performance may tempt punters who believe lightning can strike twice. Victories over West Ham United and Newcastle United in their last two games has left Watford 8th in the table, but it’s difficult to see the Red Devils playing as poorly as those two sides. Andre Gray ended a run of six games without a goal with Watford’s third at St James’ Park and he can be backed at 3/1 to add to his tally against United. United’s overall form has been patchy in recent weeks, but Tuesday’s game is one they simply have to win if they are to exert any kind of pressure on City in the title race. Watford have shown they are not to be taken lightly and Mourinho will undoubtedly look to keep things tight, so the 7/1 on offer for a 1-0 away win could pay dividends.